Property Assessed Clean Energy (PACE) loans, which are used to make certain qualifying energy efficiency and hurricane hardening improvements to commercial and residential properties, are increasing in popularity but unfortunately many buyers and sellers do not understand how they work and how they can complicate the real estate closing process. Here is what you, as a real estate professional, need to know about this increasingly popular financial product. Getting a PACE loan is easy. Qualifying requirements for PACE financing agreements are relatively simple and are based on the home’s equity and tax payment history. The approval process typically takes less than an hour. In May 2018, President Trump signed the Dodd-Frank Wall Street Reform Act which directed the Consumer Financial Protection Bureau (CFPB) to create federal oversight of, and rules for, the program so new requirements may be added, requiring residential consumers to pass an “ability-to-pay” analysis before they are approved. Florida, California, and Missouri are the only three states with PACE programs. 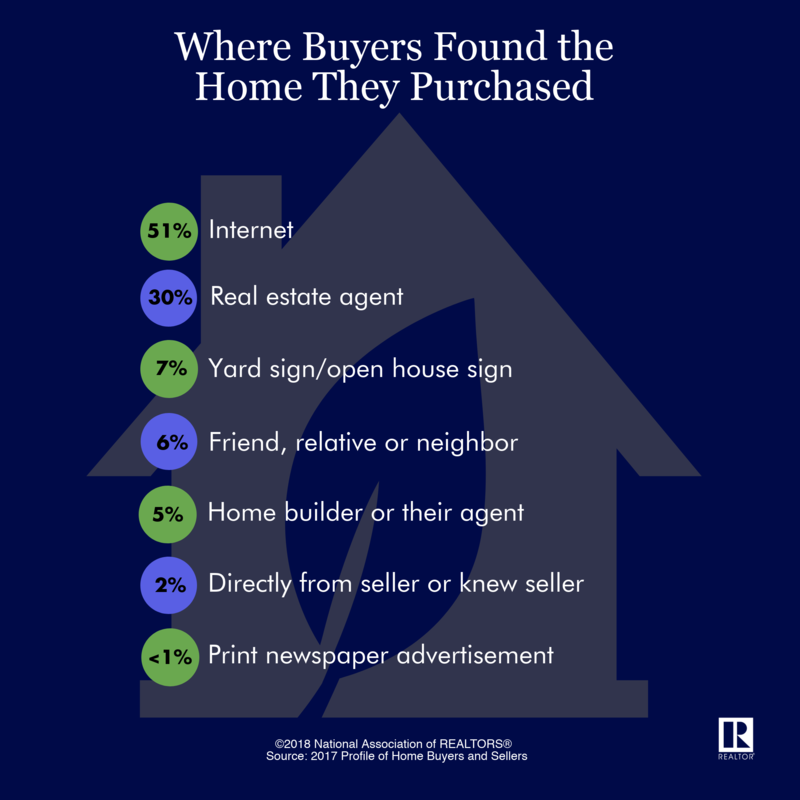 You should consider using a realtor. I could save you money especially with new home builders and it does not cost you anything. So why not? Let me save you money!!! If you are interested in buying real estate (new home, existing home, or commercial property), please contact me (Alan Lane with Signature Realty Associates at 2234 Lithia Center Lane, Valrico, Florida). As a life long resident of Central Florida, I can help you find the right property for you whether it is in Orlando or as far south as Sarasota. My email address is alanlane66@gmail.com, or call me at 813.205.9280. If you are just starting your search, you can search the MLS for real estate opportunities on my website at this link. According to NAR, existing single family home sales have decreased with projected annual sales of 4,940,000 units in January 2019 versus 5,400,000 units in January 2018. Statistics in the South have also decreased with annual sales in January 2019 of 2,080,000 versus 2,270,000 in January 2018. As of January 2019 there was a 3.9 month supply of inventory available, which was up 5.4% from the previous year, nationwide. As illustrated on the following table, the median nationwide existing single family home price was $247,500 in January 2019, which is up 2.8% from a year ago. The median price in the South was $214,800, which was up 2.5% from the previous year. The average nationwide existing single family home price was $286,800 in January 2019, reflecting a 1.5% increase from a year ago. The average price in the South was up 1.3% from the previous year. The following data was prepared by the Florida Association of Realtors (FAR). As can be seen in the following charts, sales of single family homes increased in 2018, compared with 2017 numbers. Sales volumes have increased over the same previous year quarter every quarter since 2014. Along with increases in the number of sales, pricing has also increased in 2018 with fourth quarter figures up 6.3% from fourth quarter 2017 figures. The following data was prepared by the Greater Tampa Association of Realtors (GTAR). As can be seen in the following charts, sales of single family homes have generally increased in 2018 over 2017. Along with increases in the number of sales, pricing has also increased in 2018 with fourth quarter figures up 5.4% from fourth quarter 2017 figures. The Tampa Bay MSA area experienced large growth in residential housing during the residential “boom” period of the early to mid 2000’s. Since the beginning of 2014, the market has shown increases in both pricing and sales figures. Hillsborough County is slowly becoming more built out with less vacant land available for development. Budgeting – it tracks your income and spending by creating a personalized budget. Credit Restoration – This service can assist you in challenging the credit bureaus to remove inaccurate, obsolete and erroneous items from your credit report. Restore your score and maximize your financial credit score. You are provided with the the exact information you need to provide to the Credit Bureau’s to use the Fair Credit Reporting Act to your advantage and dispute the mistaken negative ratings that may be preventing you from obtaining the best credit score to obtain lower your interest rates, save money and advance your credit opportunities. Credit Builder – Allows access to your credit report in an easy-to-understand, online format and utilize our extensive financial library and resource center to assist in increasing your financial potential. Understanding how your credit score is calculated and how to read your credit report are the first steps in improving your current standing. Credit Attorney – You have access to attorneys that will evaluate your case for difficult to remove, inaccurate items on your credit report. If legitimate, they will sue the agency to clean up your report, in which case you may be entitled to compensation. Credit Monitoring – Your interactive credit report, money manager and financial account alert system. Manage all your online accounts in one place, integrated with your credit and identity. Debt Payoff – Create a financial plan that will give you the exact payment guide to eliminate your debt quicker than you expected and save you from unnecessary interest payments. Taking into account your debt obligations and interest, the system will show you exactly how to properly allocate your money towards your monthly payments using nothing more than your current income, in order to speed up your debt payoff. Identity Monitoring – InfoArmor leads the identity protection industry with PrivacyArmor®, a proactive monitoring service that alerts you at the first sign of fraud. Get alerts for credit inquiries, accounts opened in your name, unsavory content on your social media account, compromised credentials, and financial transactions. Financial Lockbox – You can have access to your financial contacts and information in one central, online location that can be accessed at anytime. This organizational tool can be personalized to forward to a contact of your choice in case of emergency. NetWorth – your Net Worth by figuring out your assets and liabilities, and using our quick and simple calculations to see where you stand! Your Net Worth Report will help you continue to build your Net Worth by tracking your progress. Savings Goals – Create multiple goals within the Savings Goals system and input how often you can personally put money aside. You’ll then be shown what you need to put away each week or month to hit that goal! Will & Trust – Protect your loved ones by preparing the same Will & Trust documents you would in an attorney’s office, but from the comfort of your own home. Without an estate plan in place, these crucial choices regarding YOUR health, YOUR finances, and YOUR family are suddenly out of your control. YFL Family Mint – Implemented in schools across America, you can now bring the FamilyMint online educational portal into your home to enhance financial knowledge among the children in your life. This is something that is needed by rarely offered in schools today that offers an engaging way for kids to learn financial responsibility. Although the main service provided is Credit Restoration, the other services provided work well together to take back your financial future. A client membership with UCES is on a monthly basis with no cancellation fees. If you are interested, please click the following link: https://www.ucesprotectionplan.com/proplan99.aspx?rid=ALane6. If you have questions or concerns, my email address is alanlane66@gmail.com, or call me at 813.205.9280. Identity theft is when thieves steal your personal information in order to take over or open new accounts, file fake tax returns, rent or buy properties, or do other criminal things in your name. In September 2017, Equifax announced a security breach in which the sensitive information of an estimated 145.5 million U.S. consumers was potentially compromised, which highlighted the importance of Identity Fraud. The 13th annual Cost of a Data Breach study independently conducted by Ponemon Institute reports the 2018 global average cost of a data breach is up 6.4 percent over the previous year to $3.86 million. The average cost for each lost or stolen record containing sensitive and confidential information also increased by 4.8 percent year over year to $148. According to SANS Institute, identity theft recovery takes an average of 6 months and 100 to 200 hours-worth of work. For those with limited time for phone calls, written correspondence, emails, police reports, follow-up replies and investigative work, those hours can stretch out over years. Only 17% of identity theft deals with credit cards, yet most solutions available in the market only provide protection and monitoring of your credit. I hate to pay more than you have to on your mortgage? Your monthly mortgage payments will include two components: principal and interest. The principal balance is the loan amount, which decreases over the repayment period of a traditional mortgage. However, the interest portion comprises the majority of the payment at the beginning of the loan and decreases during the term of a traditional mortgage. While the majority of the payment is principal at the end of the term. Unlike the traditional mortgage, a HELOC offers flexibility because you can access it right away. It essentially becomes a credit card. HELOCs often have lower interest rates than a traditional mortgage. Some HELOCs offer the option of paying interest only. There might be a term limit (draw period) with the balance of any remaining debt required to be refinanced. There might be a limit on the draw periods (typically 5 to 25 years). Repayment is of the amount drawn plus interest. The variable interest rate might increase then than a fixed interest rate offered with a traditional mortgage. Might be too complicated for most people to keep control of the process. Loan Amount – Original or expected balance for your mortgage. Annual Interest Rate – Annual interest rate for this mortgage. Term in Years – The number of years over which you will repay this loan. Monthly Payment – Monthly principal and interest payment (PI). The monthly payment is calculated using a 30 year term. Total Payments – Total of all monthly payments over the term of the balloon mortgage. This total payment amount assumes that there are no prepayments of principal. Total Interest – Total of all interest paid over the term of the balloon mortgage. This total interest amount assumes that there are no prepayments of principal. Payment Type – The frequency of payment. The options are none, monthly, yearly and one-time payment. Payment Amount – Amount that will be paid on your mortgage. This amount will be applied to the mortgage principal balance, based on the prepayment type. Start With Payment – This is the payment number that your payments will begin with. For a one-time payment, this is the payment number that the single payment will be included in. All prepayments of principal are assumed to be received by your lender in time to be included in the following month’s interest calculation. Savings – Total amount of interest you will save by paying your mortgage. Credit Score – The following article from Investopedia demonstrates how your credit score helps determine your interest rate and your loan amount. A higher credit score indicates that you use credit responsibly, generally pay your bills on time, and aren’t using all of your available credit. It also means you’re more likely to repay your debts than someone who consistently struggles to pay bills on time or maxes out their credit lines. Here’s a look at how your loan pricing and monthly payments can fluctuate based on your FICO score range. FICO is the credit scoring model that most lenders use to evaluate borrowers. The below calculation is a national average based on a $300,000 loan amount for a 30-year fixed loan as of March 12, 2018. As you can see, the lower a borrower’s credit score, the higher the APR, increasing both the monthly payment and the amount of interest paid over the life of the loan. You should consider using a realtor. I could save you money especially with new home builders and it does not cost you anything. So why not? Let me save you money!!! 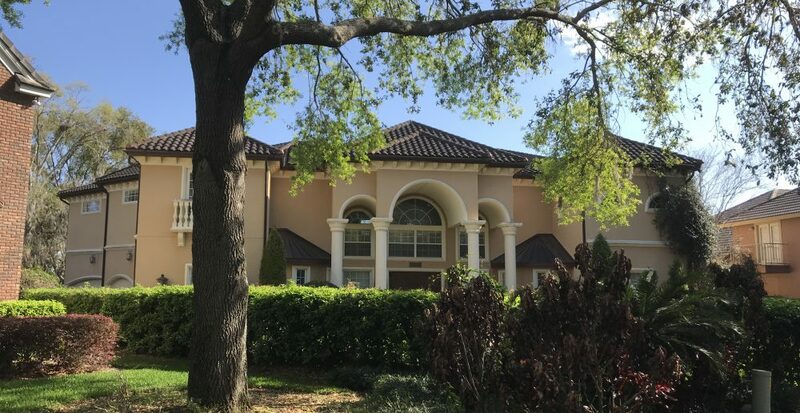 If you are interested in buying real estate (new home, existing home, or commercial property), please contact me (Alan Lane with Signature Realty Associates at 2234 Lithia Center Lane, Valrico, Florida). As a life long resident of Central Florida, I can help you find the right property for you whether it is in Orlando or as far south as Sarasota. My email address is alanlane66@gmail.com, or call me at 813.205.9280. If you are just starting your search, you can search the MLS for real estate opportunities on my website at this link.